With the amount of sun most of Nevada gets every year, it is no surprise that many enjoy skateboarding here. This beautiful year-round weather is perfect for shredding. Whether you enjoy a long board or something more traditional, there are some great shops to get new gear. Check out one of our top choices for skate shops in Nevada. If you are looking for boards in Vegas, this has to be your first stop. They have the biggest collection of everything skateboard related. This includes the basics and the not so basics. Whether you want something that can take a beating on the streets or more of a collector item, this collection is worth checking out. This small-town shop is the best balance between safety and function. The younger skaters enjoy their cool products while the parents like the focus on doing things safely. For a smaller shop, their collection is impressive. They even have a special section for female skaters. This Reno skate shop is all about skateboarding. Skater-owned and supported, this is where the real, devoted skating community goes to grab their gear. One reviewer of the shop said the team that runs this place “has more than their fingers on the pulse of the scene and the city.” They know exactly what they’re doing, and will offer everything you’re looking for. This small chain focuses on bringing the best boards to their small client base. The boards you find in shop are exclusive and often hard to find. This is a specialty market and worth checking out for higher end skaters. They are well-known in the So-Cal market. This is a true sports freak shop. They offer some pretty cool boards and also focus on winter sports of the area. Many enjoy getting both skate and snow boards in store. The area offers a great chance to cross over from summer to winter sports. This is a slightly different model to the traditional skateboard shop. They are not just selling boards, they actually make them. They take small orders for local start up brands and companies to build them up. Whether you want a one of a kind board or something made in bigger batches, their products are amazing and the turn-around is fast. This place has been a cornerstone of the local skate culture since 1992. 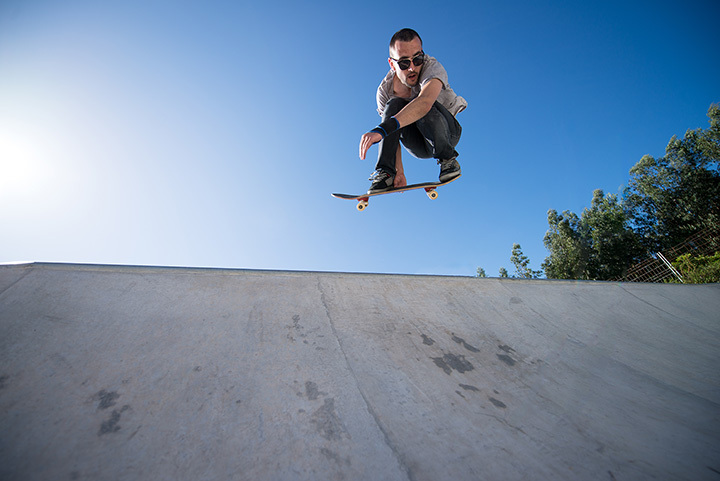 They are well-versed in many of the local extreme sports and have a pretty wide range of skateboards in addition to off-road bikes and other sports items. This is a small boutique that delivers a cool collection of gear, unique decks and accessories. This is a place to find something unique and get tips of upcoming finds. They know their stuff and enjoy the higher-end gear their customers seek out.